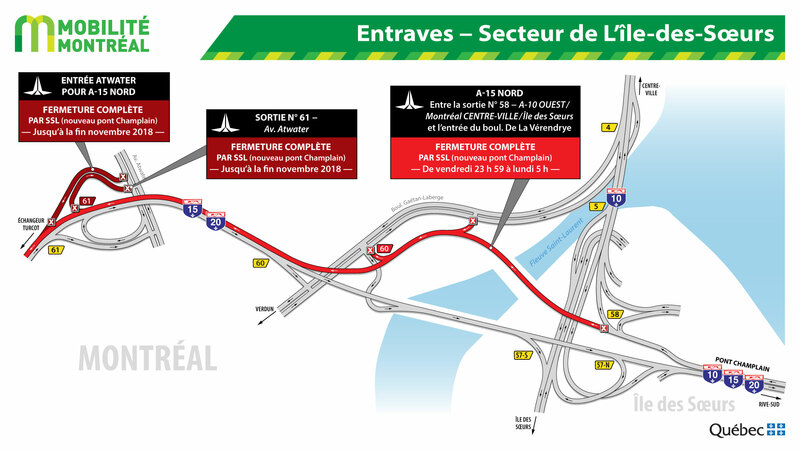 During the next weekend, paving and finishing works will be done near your residential area, day and night, to finalize the ramps for the north-bound corridor of the new Île-des-Sœurs bridge. 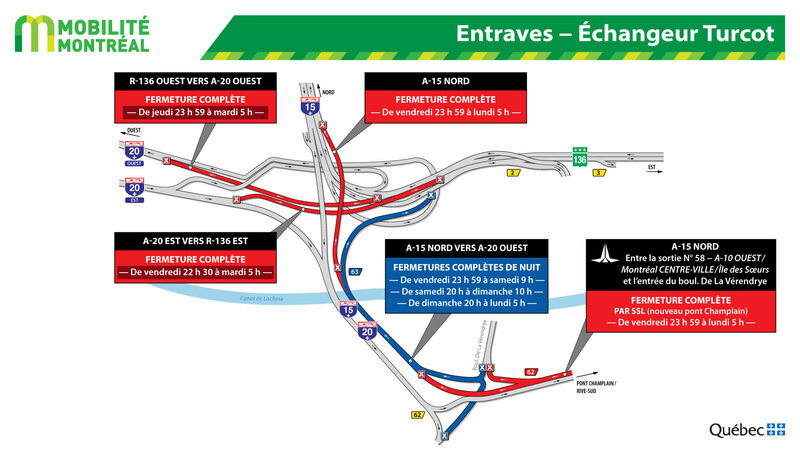 These works will end with the opening of the north-bound corridor of the bridge, scheduled for Monday, November 12. Most of the work will be done between 7 am to 7 pm, whereby SSL is authorized to perform work up to 75 dBa. Night work, whereby noise level should be limited to 58 dBa from 7 to 10 pm and 59 dBa from 10 p to 7 pm, are also expected. To ensure compliance with the noise standards included in the partnership agreement with the Government of Canada, SSL regularly monitors the noise generated by these construction activities. The Citizens’ forum section of our website, under Works and Impacts, presents the results of the sound surveys.